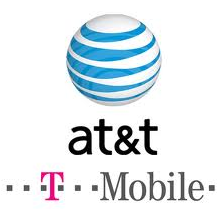 NEW YORK: AT&T Inc will buy T-Mobile USA from Deutsche Telekom AG in a cash-and-stock deal valued at US$39bil that would make it the largest cellphone company in the United States. The deal would reduce the number of wireless carriers with national coverage from four to three, and is sure to face close regulatory scrutiny. It also removes a potential partner for Sprint Nextel Corp, the struggling No 3 carrier, which had been in talks to combine with T-Mobile USA, according to Wall Street Journal reports. AT&T is now the country's second-largest wireless carrier and T-Mobile USA is the fourth largest. The acquisition would give AT&T 129 million subscribers, vaulting it past Verizon Wireless' 102 million. The combined company would serve about 43% of US cellphones. For T-Mobile USA's 33.7 million subscribers, the news doesn't immediately change anything. Because of the long regulatory process, AT&T expects the acquisition to take a year to close. But when and if it closes, T-Mobile USA customers would get access to AT&T's phone line-up, including the iPhone. The effect of reduced competition in the cellphone industry is harder to fathom. Public interest group Public Knowledge said that eliminating one of the four national phone carriers would be "unthinkable." "We know the results of arrangements like this - higher prices, fewer choices, less innovation," said Public Knowledge president Gigi Sohn, in a statement. Stifel Nicolaus analyst Rebecca Arbogast said the deal will face a tough review by the Federal Communications Commission and the Justice Department. She expects them to look market-by-market at whether the deal will harm competition. Even if regulators approve the acquisition, she added, they are likely to require AT&T to sell off parts of its business or T-Mobile's business. To mollify regulators, AT&T has said that it would spend an additional US$8bil to expand ultrafast wireless broadband into rural areas. Instead of covering about 80% of the US population with its so-called Long Term Evolution, or LTE network, AT&T's new goal would be 95% , it said. The offer would help the FCC and the Obama administration meet their stated goals of bringing high-speed Internet access to all Americans.